(Newser) – The family of Lane Graves, the 2-year-old killed by an alligator at Walt Disney World on Tuesday, released a statement Thursday, staying it's "devastated" by his death. "Words cannot describe the shock and grief our family is experiencing over the loss of our son," ABC News quotes Matt and Melissa Graves as saying in the statement. They offered their "deepest gratitude" to authorities and staff who worked to find their son after the attack. 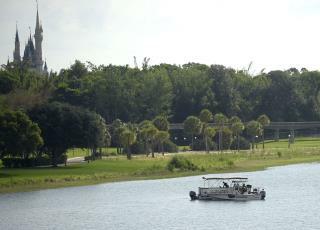 The family was hanging out on the beach at Seven Seas Lagoon near Disney World's Grand Floridian Resort when Lane was grabbed by an alligator and dragged underwater. His body was found Wednesday.